Developed with the Ceramic Industry in mind, (but easily modified for other use), the “Payne” Torsion Wire Viscometer is simple to use and maintain. 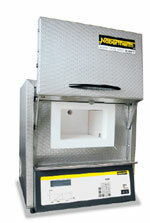 The machine has three levelling points for easy adjustment, a PTFE bearing and a unique sample table which is raised vertically or rotated horizontally into position. 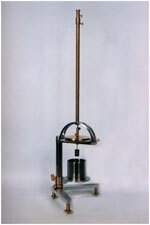 A Pyknometer is a straight sided stainless steel vessel with a close fitting lid. It is considerable stronger than the old style conical can, and the margin for operator error is greatly reduced, therefore providing greater consistency. The pyknometer lid has a fine hole drilled in the centre to expel any excess material. The volume of the pyknometer with the lid in place is stamped on the lid, and each lid and body are stamped with an individual serial number to ensure that the correct lid is applied to each vessel. Sieve shakers are designed to carry out exact, reproducible results according to DIN 66165. It is available with three different control systems, and options on clamping devices to suit the customer’s requirements and budgets, has a capacity of 8 full height or 16 half height sieves of 100/150/200/203mm (8”). The VM range of spindle viscometers from Sheen Instruments, are the ideal solution for performing precise viscosity measurements quickly and efficiently. Ease of use and versatility enable them to be used in many industrial applications where the determination of fluid properties and behaviour is essential. The principle of measurement is simple, but reliable, based on the well-established method of measuring the resistance of a spindle rotating in the sample under test. The resultant torque measurement, rotational speed and spindle properties are then combined to automatically calculate the resultant viscosity value. Temperature/humidity settings are housed conveniently in one controller and allow for hands-free operation. Designed for quick shipping, easy installation, and consistency over controls, utility requirements, and heat output. 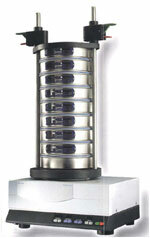 Air intake and exhaust tubes with manual dampers vent undesirable process moisture and vapors, protecting the product. Highly efficient horizontal airflow system provides maximum temperature uniformity in testing. Safety-minded low limit and high limit temperature shutdown circuits sound, limiting unwanted results. The sieves are certified, each sieve is supplied with a Certificate of Conformity and is individually numbered to provide full traceability. Diameters range from 100mm or 4inch up to 450mm or 18inch, with the frame materials being manufactured from Brass, Stainless steel or Plated steel. The "screen" is made from either woven wire mesh or alternatively perforated plate with apertures from 125mm to 20 micron (1mm for perforated plate sieves). The Economy Dilatometer series was developed to be used for CTE measurements in ceramics industries, like Brick and Tile industry, Porcelain industries and industries manufacturing building materials. It is widely used for quality control purposes in ceramics and in metal industries. Standardized Cooling Tanks, suitable for determining the resistance to thermal shock in accordance to the UNI EN ISO 10545-9. 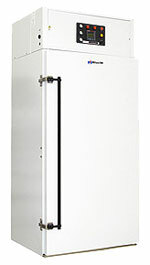 According to the standard, each sample must undergo 10 heating and cooling cycles.